An exceptionally cold winter here in Britain means that even the rhododendrons and azaleas are blooming later than usual this year, but there are many wonderful gardens around the country where you can now see stunning colour displays as the weather begins to warm up. But what is the difference between the two plants? Millais Nurseries, one of the UK's leading suppliers, says that: "All azaleas are actually rhododendrons, but not all rhododendrons are azaleas." And, if you're confused, rhododendrons are a genus (a group of plants with shared characteristics) whereas azaleas are a group within that genus, but all belong to the Ericaceae family. The best display in London (and you might want to drop in on the way to Chelsea this week) is to be found at the Isabella Plantation (top). 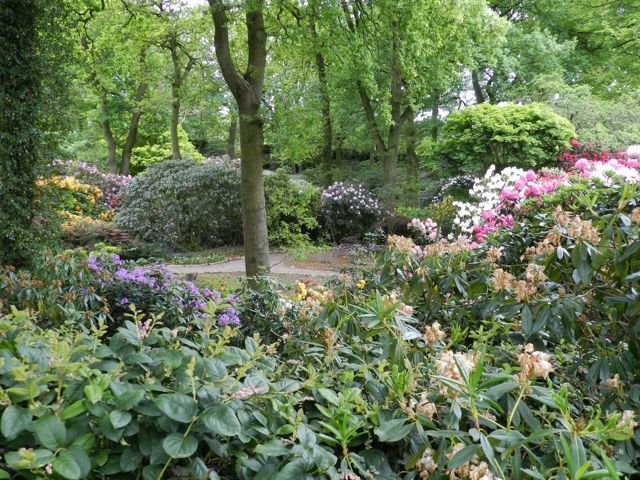 This is undoubtedly one of the capital's best kept secrets, hidden away behind a wrought-iron gate in the heart of Richmond Park and quite apart from being spectacular, the blooms cost nothing to view. 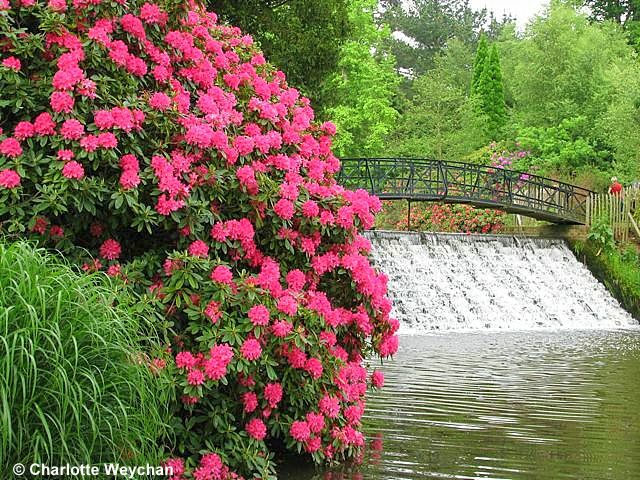 You'll find more than 50 different rhododendron species here, as well as the national of collection of Kurume azaleas. The garden is also a notable bird sanctuary and as you wander through the woodland landscape, you'll be astounded by what you hear as well as what you see. 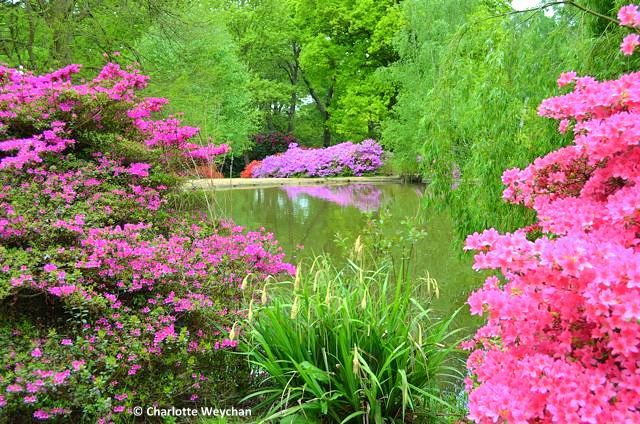 Head south from London and the notable woodland gardens with wonderful colour displays include Borde Hill, Ramster (above), Riverhill Himalayan Garden and Sheffield Park. 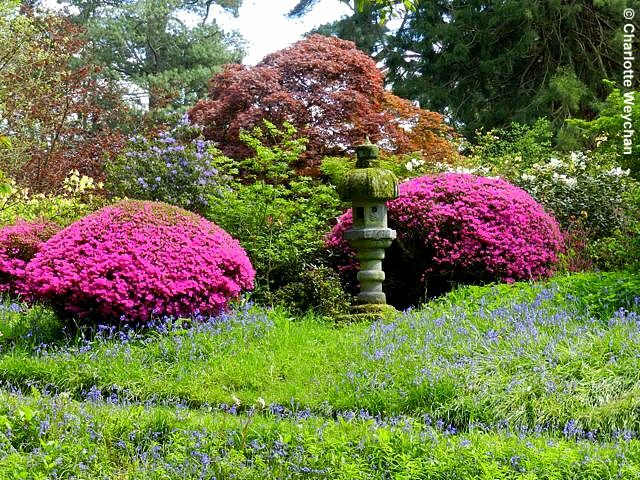 Sadly, Leonardslee, which was famous the world over for its colour displays at this time of year, is no longer open to the public. It closed in 2010 and although you'll still see road signs directing you there, you can always visit High Beeches instead. And, as all these gardens are quite close to each other, you might want to visit more than one in a day. 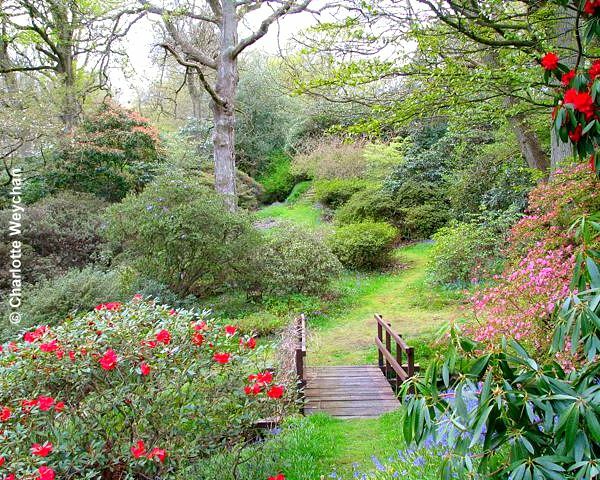 Further west, you've got Exbury, which is renowned for its show of spring colour and Furzey Gardens, on a much more personal scale, but with equally spectacular displays. Furzey exhibited at Chelsea for the first time last year and won a gold medal for its "Field of Gold" designed by Chris Beardshaw (below), which has now been recreated back at the garden in Hampshire. 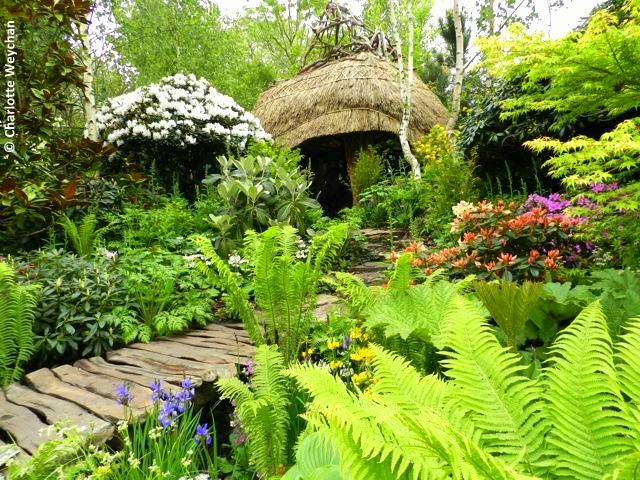 I haven't had a chance to visit yet this year, but know from past experience just how lovely this garden is at this time of year. And further north, you've got the Dorothy Clive Garden (below), which left a lasting impression on me when I was last passing through (despite the dismal weather that day), Holker Hall in Cumbria and Bodnant in North Wales. Many smaller gardens nationwide also have good rhododendron shows, so it's worth checking which gardens are open for the NGS in your area. But wherever you choose to visit, there's something magical about the spring light shining through the rhododendron glades around the country. We had a long winter here too in central-northern Alberta (Canada) and the tulips are just now starting to bloom along with the crabapple trees. There's no sign of rhododendrons blooming yet, so it was wonderful to see these in full splendour! Thanks for sharing!